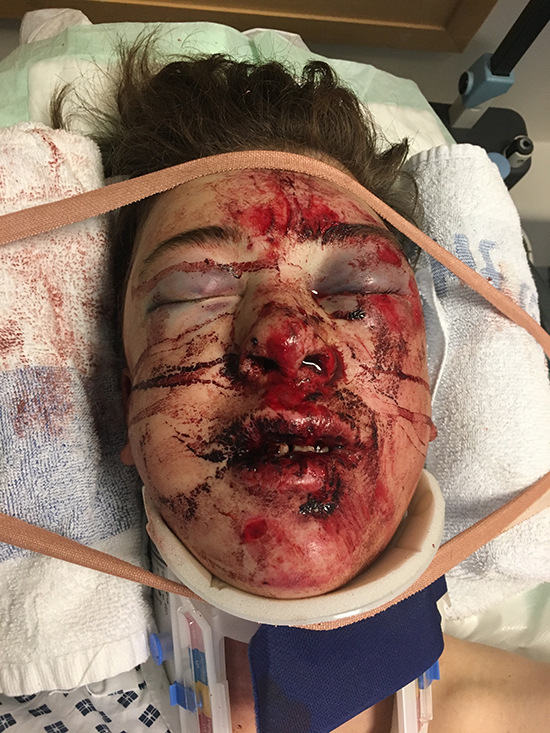 14-year-old Grady Russell is lucky to be alive after he was involved in a horrific bike accident, however it left the youngster with a severely damaged face. 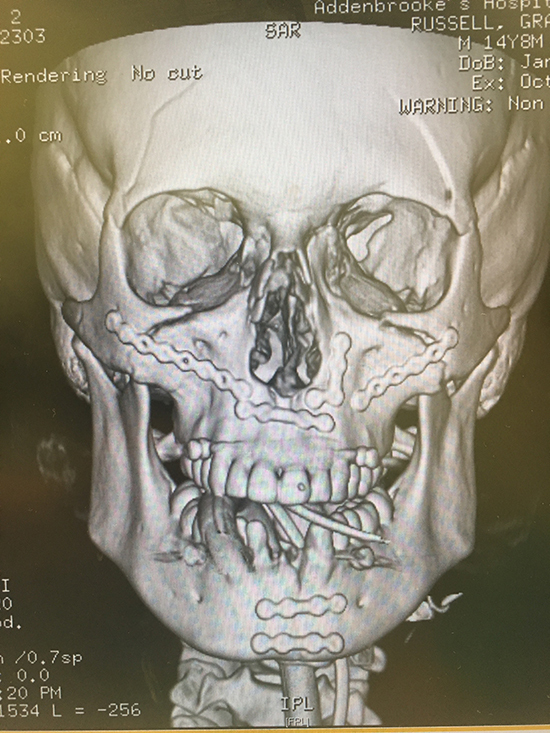 The teenager was riding his BMX in at a local skate park in St Ives, Cambridgeshire when he lost control of his bike and collided face-first with a ten-foot ramp. Grady was performing tricks on his bike in the lead-up to the accident which happened on 29th September. He was taken to Hinchingbrooke Hospital, before being transferred to Addenbrookes Hospital in Cambridge. 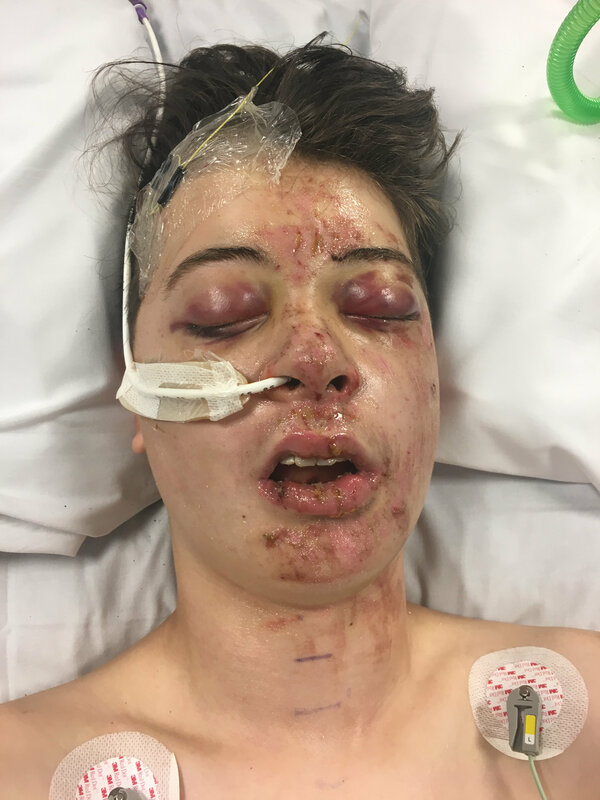 It was then discovered the teenager had broken every bone in his face and had a bleed on his brain – as well three broken teeth. He also sustained two crushed vertebrates in his middle and back which required five hours of intensive surgery in a specialist theatre to treat, what was considered, life-threatening injuries. I always wear my helmet but this has changed my life and now I’m always going to do it up. It was pretty scary, well, it was really scary actually – all my friends were really worried about me. It’s scary realising that all of this has happened, but I do really want to cycle again soon. It’s just what I do, I don’t know what I’d do if I didn’t cycle, I’d definitely be bored all the time if I couldn’t – I know that I need to take a break for now because this has been quite serious. His mother Julia, aged 44 and who works as a specialist lawyer at a law firm, quickly came to the scene when she received a phone call from one of Grady’s panicked friends. It’s an absolute miracle that he’s survived, I call him my little iron man because he’s been so, so brave. 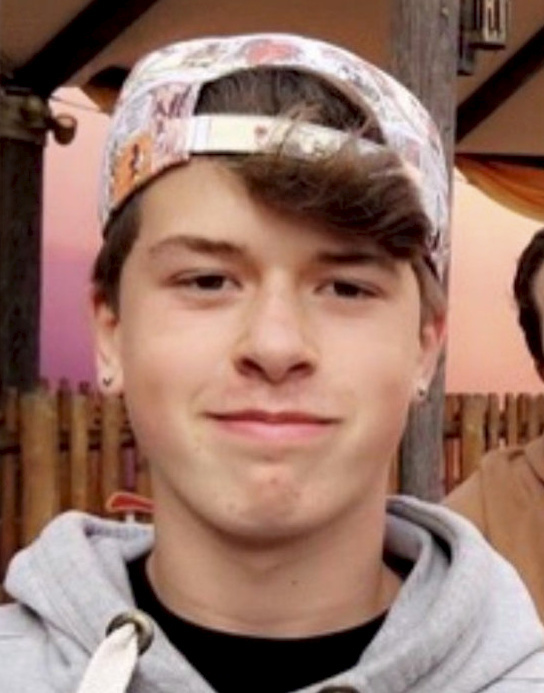 The boy who called me was at the skate park with Grady and said that Grady had lost loads of blood and some teeth, it sounded terrible and I drove straight over. She also stressed the importance of wearing a safety helmet, claiming Grady may not not have been alive if he wasn’t wearing his. As well as praising the hospital staff for saving her son’s life she also made sure to thank his friends for their quick and decisive actions. I would like to thank the two boys who thought really quickly to get my son’s phone and get his fingerprint to call me and then call an ambulance. Their quick thinking has probably saved my son’s life. The facial damage to Grady’s face included fractures to his eye sockets, cheekbones and his nose, he also split the roof of his mouth and both his upper and lower jaws. 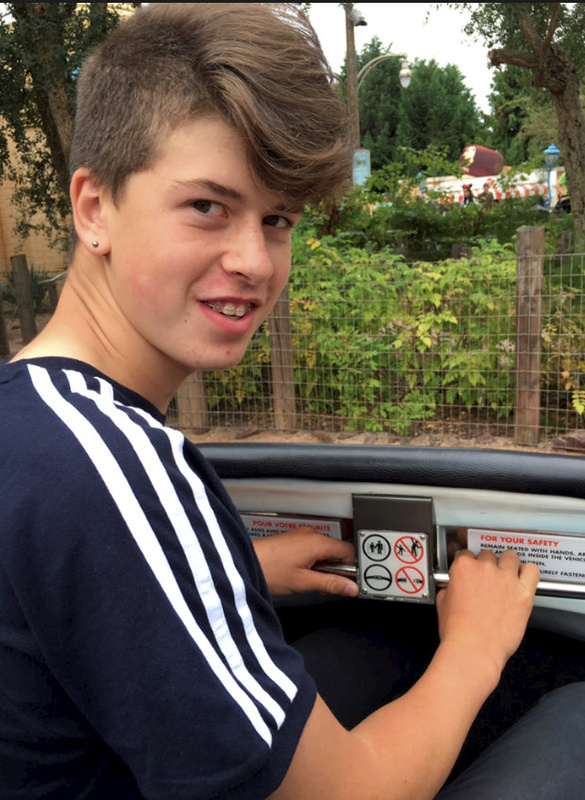 His mum confirmed that he will have to get six metal plates screwed into various parts of his jaw, as well as a probe which has to be inserted into his skull to check the pressure inside his head. Doctor’s are unsure about Grady’s future, some of the after effects of the accident may include chronic fatigue and loss of concentration. However they are amazed at his speedy recovery.